I’m sure everyone knows that Estate Agents’ fees for selling a property can vary wildly. In many parts of central London, for example, 2.5% is a standard fee. However, locally I’ve seen Agents advertising fees as low as 0.5 % or even a flat rate of £695. In my opinion, there is no way that any Agent doing their job properly can charge £695 and make money. They would have to cut more corners than a Grand Prix driver, and in several key areas, just to break even or reduce their losses. For a property to achieve its best possible price and in the shortest possible period of time it needs to be incredibly well marketed. Online portals aren’t cheap, neither are professionally designed marketing materials. However, the area where the vendor can get really short-changed by a ‘cheap’ fee is the level of personal service that they will receive. For example, when an Estate Agency bases its business model on charging rock bottom fees there’s no way that they can attract the best quality staff because good people simply won’t work for low wages. The saying ‘if you pay peanuts you get monkeys’ springs to mind! So, please remember that selling your home is probably one of the single biggest transactions you will make in your lifetime and so you must make sure that you get the best possible price for it. The difference between a quick sale and a great sale for you could be thousands, maybe even tens of thousands of pounds. At ‘Iles & Jenkin’ Estate Agents we’re flexible on our commission fees - to a point. We’re not a ‘pile them high, sell them cheap’ Agency but we do understand that it’s a competitive market and so we will always aim to be competitive. In the words of the great British business John Lewis, we’re ‘never knowingly undersold’! But one thing we’ll never compromise on is our commitment to looking after you and your property to the very best of our ability. So, go on – why not give us a try? It won’t cost you anymore that you are expecting and may cost you a little less, but if you value excellent service and the reassurance of knowing that we’ll value your home as much as you do, then it will be a small price to pay for peace of mind. PS. Would you like to get a SOLD or LET sign outside your property quicker? 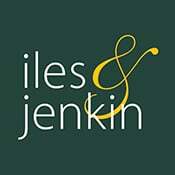 If so, call Sue, Joe and their sales team on 01934 512537 or email: sales@ilesandjenkin.co.uk for honest, expert and friendly advice.